Saying “I love you” doesn’t guarantee peace or a happy ending. High school principal “Larx” Larkin was pretty sure he’d hit the jackpot when Deputy Sheriff Aaron George moved in with him, merging their two families as seamlessly as the chaos around them could possibly allow. But when Larx’s pregnant daughter comes home unexpectedly and two of Larx’s students are put in danger, their tentative beginning comes crashing down around their ears. Larx thought he was okay with the dangers of Aaron’s job, and Aaron thought he was okay with Larx’s daughter—who is not okay—but when their worst fears are almost realized, it puts their hearts and their lives to the test. Larx and Aaron have never wanted anything as badly as they want a life together. Will they be able to make it work when the world is working hard to keep them apart? 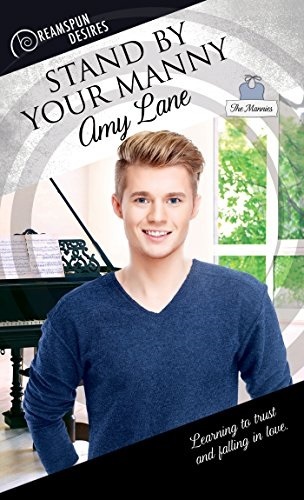 This is the second book in this Amy Lane’s Contemporary Romance Series. I admire how this young lady can write a book as in Bonfires and make us all a family. Making her readers need more to fill their souls; Remember Deacon and Crick?? In the first book Bonfires, it was a coming together of two men, already with families, already having professions. Larx and Aaron were not teen agers coming out. Larx had come to town to teach and Aaron was in the sheriff’s department. Both were looking at 50 soon. It was their attraction and respect for each other that brought these two lonely men together after each had stepped up raising their children alone. In Crocus, the two are a couple now, mixing two families of natural children and strays starting to play into the mix as two caring men try to save the world one teen at a time. The attitude of each man’s children is most central for me in this book. It becomes important to Larx and Aaron on how they are a couple through the eyes of their children, in the acceptance of their relationship. Amy never disappoints us in the family center, the hearth, the unconditional love, and the ever presence of Love in the hearts of these two men, making their way through life. I am ever hopeful the wedding will be beautiful and we will all be there to celebrate….Hope Book 3 will give us more joy and love to read…. Crocus picks up the story of Larx and Aaron, along with their combined children, a few months after Bonfires ends. As there are a lot of characters and history referenced in this book, it is necessary to read the series in order. Amy Lane takes us into the chaos that is the family-both biological and chosen by fate-which Larx and Aaron create. Lane achieves this through sweet and snarky banter, heart wrenching situations, and the overarching and amazing love between these two main characters. Larx is still the principal of the local high school. He is also still the center around which the people in his life seem to revolve. While not feeling steady in himself, he is truly the rock they all depend upon. Aaron is still the sheriff. He is Larx’s safe place. He is the only person who can get the chaos in Larx’s mind to finally be still. So when Larx can’t lean on Aaron, because of circumstances beyond their control, what will happen to all of those that depend on him? The family dynamics of this book are so genuine. There is not a simple answer to the issues faced by the characters and Lane does not sugarcoat any of it. From dealing with a pregnant daughter who appears on their doorstep, to the very real fears of having a law enforcement officer just go to work everyday, these men face life with their hearts first. This was one of those special reads that makes you smile as you go, makes you cry, and even makes you giggle out loud. I must have stopped at least half a dozen times to share a well written sentence, a funny interaction, a perfectly worded come-back to my ever patient husband. The gentle and pervasive love between these two men is one of my favorite parts of this story. They certainly don’t have all the answers, but they find both solace and passion in each other. This is a gem of a book. The best part is it seems like there might be a possibility of a third book. Fingers crossed! I have been a fan of Amy Lane for more years than she and I will admit to….But if Killing Adrian rings a bell….there’s that. She is a true talent in more Genres that even exist. We both have just finished the second book of her Bonfires series in which she has not written about the angst of young star crossed lovers, but has delved into the mid 40-50 ish age where there are life experiences, more baggage and hope for finding twue lurve as she so aptly puts it. How did you like Book 2? This book was awesome. I enjoyed the first one. And I’m one of those readers that loves a series, but at the same time I get worried that somehow the sequels won’t live up to the original. Amy Lane certainly did not let me down If anything, I love these characters more! I agree Melissa, Aaron and Larx are growing into a relationship along with the readers. You can feel how new it feels with their inner fears of losing the other, doubly so because they have been alone for so long. The family /characters they are growing have a lot to tell, and Amy will I am sure will drag us thru, entertaining us even more with this series. I am praying Aarons grandbaby will be health, And Berto has a HEA and see what I mean…. She Drags you in. I am so in love with the love story between not only Larx and Aaron, but between them as parents and these young people they are building a family with. I am not so patiently hoping for more on not just Berto, but also Olivia and her new family, and of course I want to see the wedding!!! Well Hang Tight…. Amy has just sent us a new Manny to read and review, Lets get that one started next!! Hanging up my Busy Sign….Will start today…Talk soon!! !